Good morning gentlemen. I've been looking at acquiring a lever and matching wheel gun for some time now and came here to absorb some of your wisdom. i'm parting with some EBRs and kits to fund the move to a pair in .38/.357. I want the flexibility of the pistol caliber and I'm not looking for collector grade or other finer points of the pair. These will be tools and dependability is key. I've cruised the site a bit and like what i see in the political topics and you all seem firmly planted. Since my needs are utilitarian a used rifle is definitely on the table. Any advise you have on the pros and cons of mag capacity / type, length, actions will be greatly appreciated. I'm severely ignorant on the subject of lever actions with my collection consisting of mostly semi autos with the exception of a few bolts and pumps so i hope you'll go easy on me. I think you're on the right track.. There're lots of opinions out there and I'm sure you'll hear a few! I've picked up on the .357 and think it's a pretty good all-around cartridge.. I guess a Ruger Blackhawk and a '92 of some sort would take care of you! fortress of a rebel soul"
Yeah, welcome Flop! You're getting sound advice. I like Marlins, but in the pistol cartridges I give the nod to the Winchester 92 clones. If you can scare up one of the older Rossi Pumas in .38/.357 for a good price, you will be set. The Blackhawks are hell for stout, but in this caliber all of the Colt clones are up to the task. And if you want your rifle slicked up, look no further than Nate Kiowa Jones here, who owns stevesgunz, 92 specialists. Asking which is the best gun for you is like asking what is the best flavor of ice cream for you. It's all a matter of preference. You have already decided on the cartridge, so that's a step in the right direction. For the revolver, Uberti makes very nice Peacemaker models, well built and dependable. You need to figure out what barrel length works for you. There are, of course, several other makers, you might drop in to a well-stocked gun shop in your area and just educate yourself by handling several and deciding which shows the best workmanship, etc. For the rifle, well, that's another story, there are so many different models it will take you a month to sort through them all. First, I would decide on barrel lenght. I personally favor a 24" barrel, but that is because I am a silhouette target shooter using iron sights, I need all the sight radius I can get and the longer barrel is tad bit steadier in offhand due to the extra weight out front. 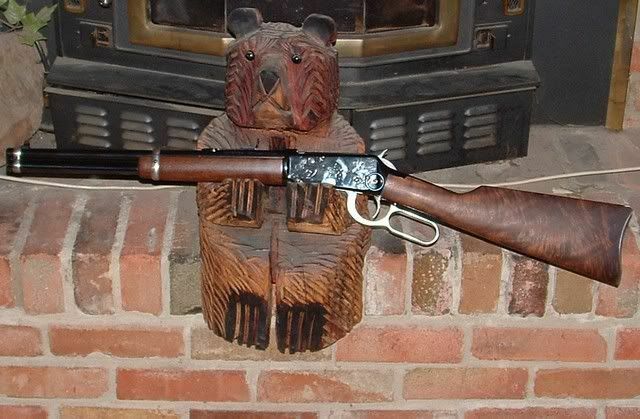 If you are looking for a truck gun or a hunting gun, a shorter barrel will likely be better for you. It has been my experience that any of the Winchester Model 92 copies you get, from the most expensive to the cheapest, will need some tuning, you dont have to look very far on this board to find threads concerning these problems. I have a Rossi (Puma) copy and after tuning using the Steve's Gunz video CD tutorial, available on this board, It works very well for me and I am quite pleased with the function and accuracy. Again, try to examine a few and get educated a little. Browse around for a while over at Gunbroker, study the offerings and completed sales, this will give you a good idea of what you should be paying. Welcome - well flop at one post and Bill in Oregon at a 1000 right now. Rossi or Marlin, there are good examples of either and Stevesgunz Nate Kiowa Jones here does fine work. and Welcome to THE Forum from Texas! flopshot wrote: Good morning gentlemen. I've been looking at acquiring a lever and matching wheel gun for some time now and came here to absorb some of your wisdom. i'm parting with some EBRs and kits to fund the move to a pair in .38/.357. I want the flexibility of the pistol caliber and I'm not looking for collector grade or other finer points of the pair. These will be tools and dependability is key. I've cruised the site a bit and like what i see in the political topics and you all seem firmly planted. Since my needs are utilitarian a used rifle is definitely on the table. Any advise you have on the pros and cons of mag capacity / type, length, actions will be greatly appreciated. I'm severely ignorant on the subject of lever actions with my collection consisting of mostly semi autos with the exception of a few bolts and pumps so i hope you'll go easy on me. Man, what a loaded question! 1st: For most practical applications... bigger is better! But, if you already have a pistol caliber you load for, a lever and wheel gun in that same caliber is a warranted consideration. 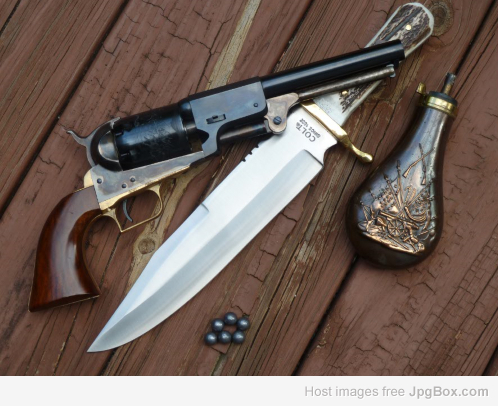 I've had and have lever guns and wheelguns in .38/.357, .44Mag, & .45 Colt. In fact as I was cleaning up my reloading shop, I found cases in .44Spl, .44Mag, .44WCF, .41 Long Colt, .38 S&W Short & Long, and .32 S&W! The first two are no longer in my collection... and I've actually never had a .44WCF or a .41LC! Must have come from "range brass"! (Might have to rectify that now that I have brass)!!! Let me get this off my chest, the .38/.357 leverguns seem to have the most trouble with feeding issues. That is probably based on the fact that most levergun designs were meant to be used with specific length bottleneck cartridge. Most pistol calibers of the day being around 1.6" in length. However, that said, I've never met a rifle that couldn't be fixed, i.e. tuned to reliably feed that cartridge. Over the several years I've been on this forum and it's predecessor, there've been at least a couple hundred posts with issues, all that I recall have been diagnosed and a fix described. There might be one or two exceptions... but... just sayin'. 2nd: "Trapper" length, carbine length and rifle length leverguns all have their proponents, detractors and ergo, their good and bad points. It just really depends on what you'd like. To define the terms, a- levergun "Carbines" generally refer to guns in the 20" range, some shorter, some longer, but generally they have barrel bands around the forend and muzzle; along with a gentler curved buttplate, modern version are usually plastic see 1st pic below. b- rifles generally don't have barrel bands, barrels are usually in excess of 22", but you'll see "short rifles" also, see pictures 2 & 3; rifles will have a "forend cap" and a barrel hanger for the mag tube. 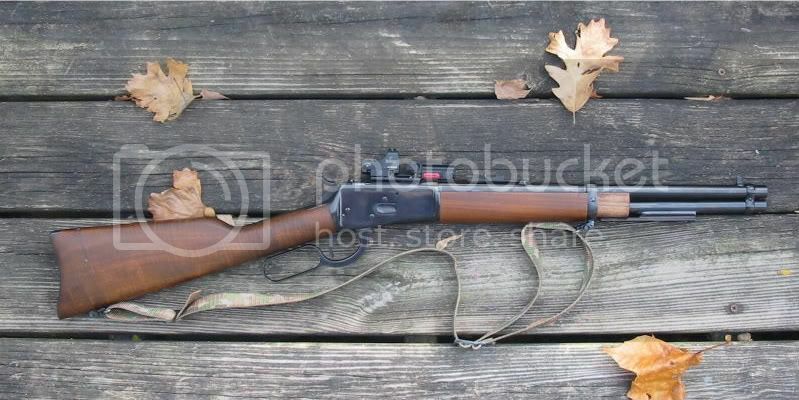 "Trappers" are generally a 16" or less carbine, see picture 4. Each has their carry, handling and ballistic differences. Tho' ballistically, in pistol calibers they're not quite as distinct as they are in rifle calibers. I generally feel any of the pistol caliber leverguns as limited to about 100 yard capable, depending on exact sights and your loads. As for brands, well... let me just say that it's a Ford vs. Chevy thing! And, remember the adage, "Friends don't let Friends drive Fords!" (Chevy might be interchangeable in this instance)! I've a Winchester fan, although I own a few Marlins, (3 to be exact). Each has it's postives and negatives. However, for ease of cleaning, the Marlin has it all over the Winchester. However, I find no difficulty in cleaning any of my leverguns, be it with straight rod or bore snake. The Winchesters seem to balance better in my hand, important if you carry it in the hand, not slung over the back; that lever pivot on the Marlin seems to be always right where it balances for one handed carry! BUT... for the important detail, regardless of what brand you select, there is really only one model of each that is really the best; for the Winchester that is the mdl 1892, and in Marlin's line-up, it is the mdl 1894! Those two were designed for that length of cartridge, which is an important consideration IMO, as they don't have extreme adaptions to accomodate the .38/.357. However, because they are adapted to fire the .38Spl AND the .357 Magnum, which are two different lengths, they have been made with a sorta "in-between" thinking. Meaning that the actions have been tuned to really run between the two extremes, not necessarily one or the other. One the Marlin, it's a timing issue, and the Winchester (or it's clones), it's a gulde rail issue. In most hunting situations, these don't really show up. But, in cowboy action shooting, which is more abuse than either of these designs were meant to handle, it readily became important, where speed is king, and accuracy takes a slight back seat. 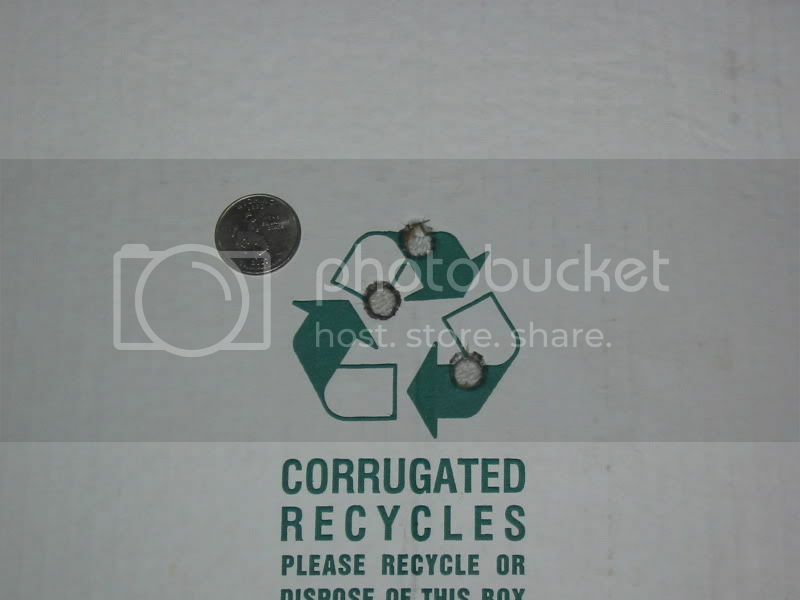 But, as I said, either is fully able to accomodate either cartridges, although a particular example of either might show a preference for a particular length cartridge. There are other options as to model, depending on whether you intend to shoot .38Spls or .357 Mags. This would be the toggle-link Winchester mdl '73, made by Uberti in .38/.357. Even tho' it's chambered in .357, I just don't recommend a steady diet of full-house .357s. The Marlin and Winch. 1892 are much stronger designs... the 1892 being the stronger of the last two, IMO. Another important consideration is pricing. A market factor to consider is that the drop in the value of the American $ has led to an increase in cost of the Uberti imports, driving them over $1200 for a new one. The Marlin is easily slicked up and can be made to run just as fast as a slicked-up, short-stroked Uberti for about ½ the cost. The new "Rem-lins" are trashed talked to death, so used Marlins have become relatively scarce as more cowboy action shooters are looking for them. The Rossi copy of the Winchester 1892 is still the bargain-basement bargain. And with a little help from Nate Kiowa Jones' DVD or Marauder's Rifle Tips, or even from members here, it is easily, IMO, the best bargain out there. Welcome flopshot! Good advice so far on the Rossi 92's and OLDER Marlins in .357 caliber. My choice would be a 92 in the 20" version. Handgun choice would be the discontinued S&W Model 28, Highway Patrolman. They're tough as nails and real hard working double action revolvers. There's scads of them out there, in either the 4 or 6 inch version. Not too terribly pricey compared to most old style S&W's models at this time. To me that duo would most perfectly meet your needs as you outlined. Good luck in your pursuit. Stick around here as often as you can, you're amongst friends. "If a man does away with his traditional way of living and throws away his good customs, he had better first make certain that he has something of value to replace them." - Basuto proverb. Oh yeah, what njyork said. As is my advice to new cowboy action shooters, "try before you buy"! Whether you think cowboy action shooting is in your future or not... find a match in your area and go out and visit. You're likely to find a larger variety of leverguns and sixguns than at any LBS devoted to guns! Express an interest, and you're likely to be invited to try! Folks have rifles, carbines, trappers, Rugers, Colts, clones galore, and most likely in a variety of calibers also. Just remember, they're going to be shootin' somewhat reduced loads and light bullets for caliber... remember, they're going to speed (for the most part). But, it'll certainly give you a idea of what the handling is like. For my 'do it all' or 'go-to' guns, I've come down to my self-labeled 'Night Scout' leverguns, and the first one I made was a .357 Mag Marlin, since that's what I had available. Then I wanted a larger-hole maker for inside-the-house use for my wife, and had a .45 Colt Rossi, so I used the '92 clone' to make that one. BOTH are nice and work well day or night. I wanted to make a .44 Mag one so I'd have all the 'pistol calibers' but in the process of making one out of my old .44 Mag Marlin, I converted it to .45 Colt just because I always wanted a .45 Colt in the Marlin action (which I do like better than the Rossi/Winchester one), and came across a $100 barrel with which to do so. 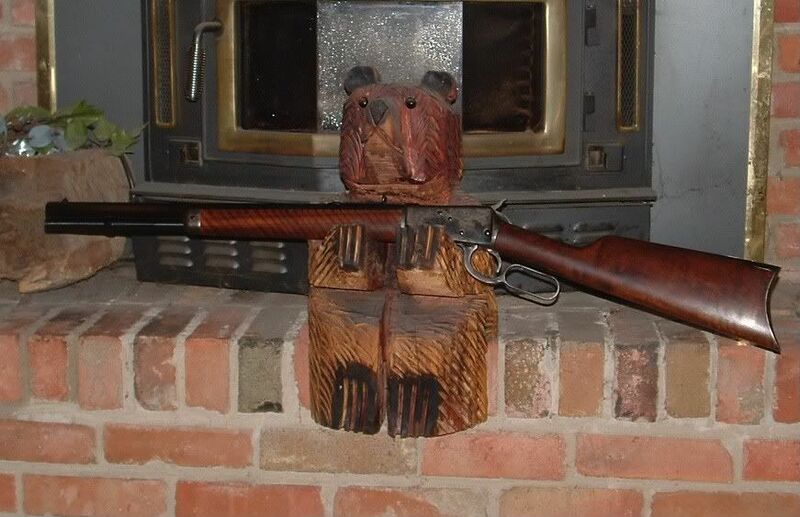 So - I have used both the 1894 and the 1892 actions as my primary/utility rifles around the home/farm, and both work well. Ease and flexibility of the sight-mounting is the strength of the Marlin, plus fewer parts that seem less individually-fitted. I'll likely not wear out any of my 92's during my lifetime though (but I do dread losing a small part if and when I actually need to take one apart totally). The second picture is without the light attached (same light can go on any of the above). Folks snicker at the non-traditional sights and 'clumsy' light, but for ME it is far better than a night-sighted AR-15 for the kinds of varmints we deal with on the farm. A fancy EBR AR-15 with bulky night-sights would cost more than all three of these leverguns put together, and require hearing protectors if I dared actually fire it; I'm NOT going to go out to check the livestock wearing hearing protectors, and I want something light, compact, and durable, that won't shoot 2 miles if I did do the bad thing and take a poor-backstop shot and miss. Without the 'light' all three setups are pretty compact and handy. The .357's light mount just 'snaps' on and off, as it is made of plastic electric conduit. I actually DO have a similarly-set up (for 'night' use) Ruger 10/22 that does work well when I know the only varmint I may encounter is a raccoon in the chicken-coop, but for coyotes or 2-legged predators I'd want one of the leverguns. Again, it "looks funny" and reminds me of the geeked-out stuff you see guys set up who don't actually shoot anything but imaginary zombies, but it has accounted for many, many possums and raccoons and feral canines at ranges out to 75 yards that I encountered at night, and would never have been able to humanely eliminate (one shot kills 90% of the time, rapid followup easy if needed) with ANY other setup I've tried. The lights I use are now Lowe's building supply store bought 'Coast' brand LED ones that I lock on 'spot' instead of 'flood' (by positioning the front 30mm ring so it keeps the sliding lens forward), and at 500 lumens for the larger-bell ones, or 280 lumens for the more compact ones, they will make a raccoon easy to see at 100 yards). While if you can afford it, I'd keep an EBR around, since they do have more 'firepower' and are definitely going to appreciate in value as trade items, your choice of a .357 Mag levergun is PERFECT for most real-world scenarios right now. As to the Marlin vs. Winchester/clone, (or don't forget Henry, Savage, Ruger, etc...), both work fine. The 92's are probably 'slicker' and the Marlins are easier to put different sights on. Last edited by AJMD429 on Tue Sep 22, 2015 6:38 am, edited 6 times in total. Welcome aboard the others about said it in regards to advice. 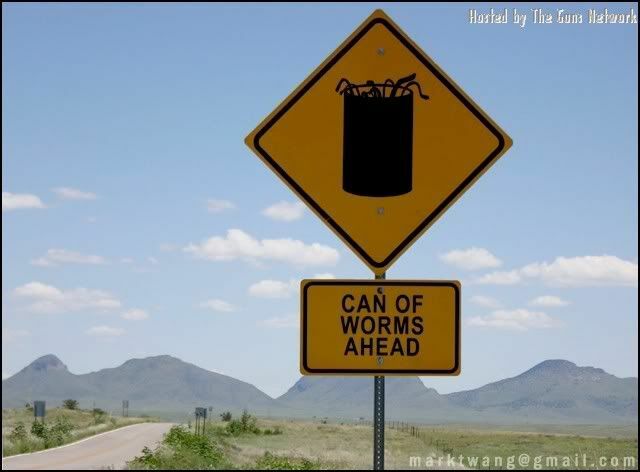 yeah, can of worms it was. might as well have stirred the AR vs AK pot. i probably should have asked what stay away from. i figured this would be a good time to unload some AK kits and see if i could get a deal on a lever or wheel gun. so far revolvers are still in demand. i see plenty of 94's and Marlins on the racks but they're all 30-30s. i'm also partnering with my brother in law on a reloading setup since neither one of us wants to shoot from our stash right now. i'll take some notes and hit Gunbroker. 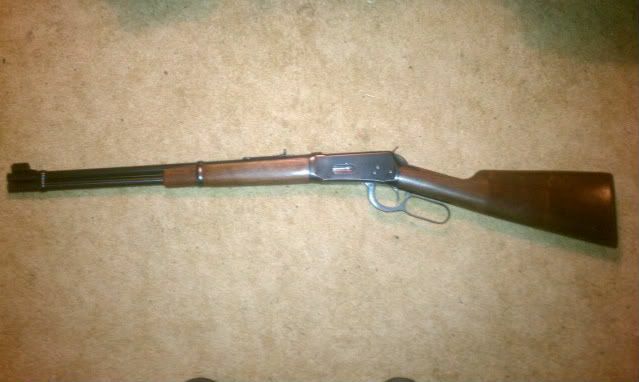 a tactical lever gun,,,, whooda thunk it ? you guys are sure loaded with info, thanks ! Welcome, I know Nuthink, I'm just here for the ride. Iv'e got combos in just about all the popular calibers ( 357,44,38 only,45 colt,38-40, 9mm). Welcome! Rossi 92 and a Ruger flattop! Go gettem! While if you can afford it, I'd keep an EBR around, since they do have more 'firepower' and are definitely going to appreciate in value as trade items, your choice of a .357 Mag lever gun is PERFECT for most real-world scenarios right now. As to the Marlin vs. Winchester/clone, (or don't forget Henry, Savage, Ruger, etc...), both work fine. The 92's are probably 'slicker' and the Marlins are easier to put different sights on. Thanks AJ. So i'm not really hearing anything that would push me away from one particular model and you all seem OK with the .357 Lever/Revolver combo. What would you recommend as far as repair and maintenance parts for most lever action rifles ? As far as the EBRs go, that's not a problem unless you count the lack of space in my safe. I more or less consider my ARs and Glocks in the same light as the jack in my truck. The AKs, well, they're just cool to play with.